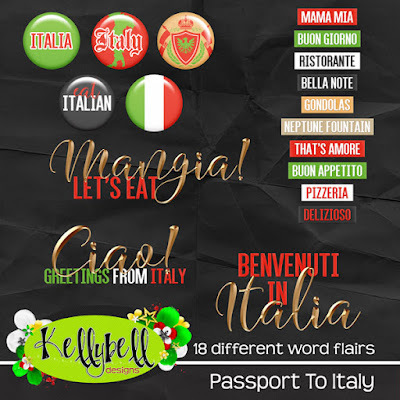 Viva Italia! 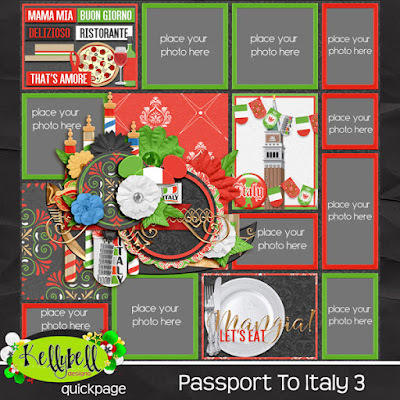 This week Kelly has another gorgeous collection in her Passport Series. 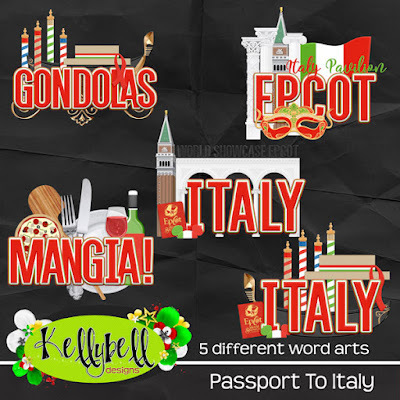 This week Passport to Italy takes us to the pavilion with art, architecture, gondolas and delizioso ristorantes. 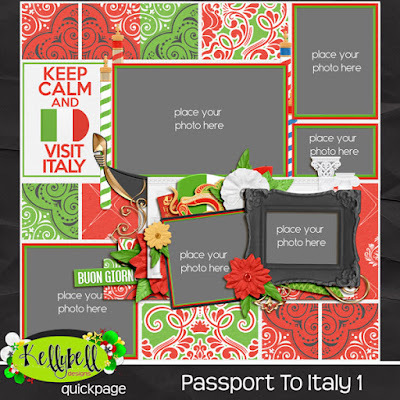 Making belissimo layouts will be a snap with this kit and it's coordinating Page Starters, Journal Cards, Word Art, Word Flair and Quick Pages. 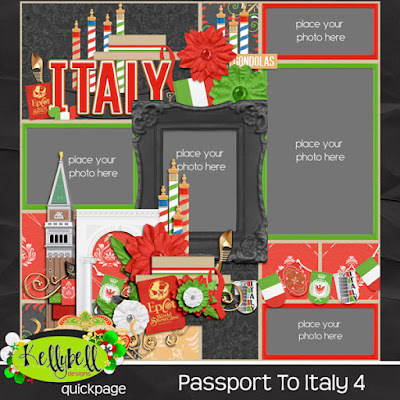 Inside the kit you will find 15 papers in the rich reds and greens of Italy plus a full red alpha bordered in white. 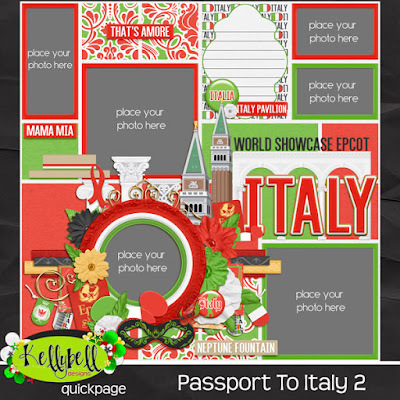 There are also over 50 unique elements including an archway, banner, columns, flag, fork, gondola, hat, knife, masks, Mickey ears, passport, pennants, pizza, pizza board, plate, poles, tower, wine bottle, wine glass, and much more! Now how about some beautiful freebies to coordinate with this new kit? You can find them on Lynn's blog and Debbie's blog. Have a great weekend and happy scrapping! BLACK FRIDAY 60% OFF SALE AT KELLYBELL DESIGNS!! !